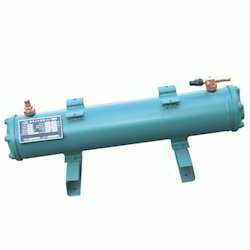 We are known to provide the best quality of Water Cooled Condenser. These are made available in multiple colors and dimensions as per the requirements of the customers. Condensers for sea water marine application or with steels shells are also offered & designed as per customer specific requirements. The Condensers are fabricated as per TEMA / ASME unfired pressure vessels codes & ASHRAE standards requirements. We are listed amongst the prominent manufacturers and retailers of Air Cooled Condenser. These Condensers are designed for an optimum combination of high heat transfer performance & low operating cost. 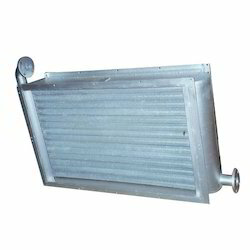 The staggered tube, corrugated plate fin provides a highly efficient air flow pattern through the condenser. Copper tubes are mechanically/ hydraulically expanded assures maximum fin-tube bonding for optimum heat transfer. Air Cooled Condensers are tested at 28 Kg per sq. cm gauge with dry nitrogen. We are the leading Fin and Tube Condenser manufacturer in Coimbatore, Tamilnadu, India. Owing to the support of our diligent team members, we have been able to serve our valued clients with a wide range of Air Cooled Condensers. These condensers are highly acclaimed by the clients for their high efficiency, precise designing and many other features. Our range is manufactured using high grade components sourced from the trusted vendors of the industry. We are among the leading names in the market that are engaged manufacturing and wholesaling Evaporative Cooled Condenser. 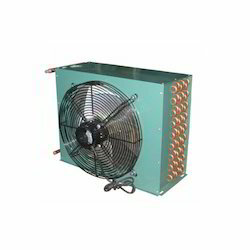 Air Cooled Condensers offered by us are one of the best and excellent performing available in the market. 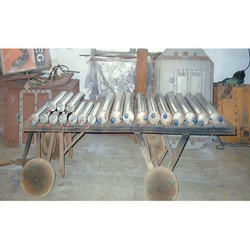 We manufacture Air Cooled Condensers as per the specific demand of the clients. Our Air Cooled Condensers are available at affordable market price.